At LA Home Fixers, we offer a variety of general contracting services that can transform your home or business in Santa Clarita Valley, CA. Whether you're looking for a small enhancement, or a large upgrade, we are confident that we will be able to provide quality service and excellent craftsmanship. Next time you're thinking about doing some renovations to your home or business, just call LA Home Fixers. DiBara Masonry is a fourth generation Italian masonry company specializing in repairs, restorations and new installations of stone, block, brick, concrete and pavers, as well as waterproofing and sealing of any sort. No matter how odd, large or small the project may be, DiBara Masonry can provide exactly what you need, because with DiBara, expert advice is always free and expert service is always delivered. Pavers are a unique product and system that excels in its ability to provide a beautiful, functional, and extremely durable surface for your outdoor lifestyle. The result is dramatic and surprisingly affordable. We will work with you to create a look that both you AND Bleu Stone Paving will take pride in. MMCC is a full-service masonry and concrete company. 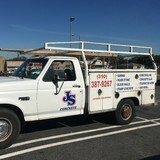 Serving Southern California since 1995, we have worked with all types of customers on all types of projects, from new concrete and stone work to restoration, and everywhere in between. We specialize in all aspects of hardscape, including: - patios - property walls - stamped concrete driveways and walkways - custom brick and stone work, pool decks - CMU block retaining walls - outside kitchen areas / BBQ's - and more ... We can provide many references from past clients, and we pride ourselves on our work ethic and the quality of workmanship we provide. Monarch Stone International - Historic European Cobblestone®; worldwide natural stone experts and suppliers for interior/exterior stone requirements; architectural and hardscape. Our knowledge, global reach with factories and quarries from the U.S. and countries such as France, Spain, Italy - will provide a stone investment that will last a lifetime! Historic European Cobblestone and curb - Memorable homes begin at the driveway! We are the largest importer of genuine reclaimed granite & sandstone antique cobblestone, available nationwide! Historic European Cobblestone, authentic reclaimed antique 100 to 400 year old, cobblestone and curb is a collection that offers tremendous selection, consistency, cleanliness and quality. Two websites to serve you: Exterior/interior natural stone visit: www.MonarchStoneInternational.com . Antique cobblestone/curbing: www.HistoricEuropeanCobblestone.com. Welcome! 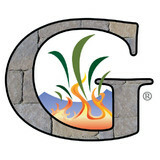 Greg Dodd Masonry is a full-service Southern California masonry company. We take great pride in our work and believe successful projects are a result of a strong client/company partnership. Alex Ventura Masonry Inc. can build all residential concrete and masonry projects. We're experienced with every form of stone, concrete, masonry and brick installation. Each project we make is custom-made and integrates our client's individual design tastes, needs, and lifestyles. We desire to create for you a product that is well made and functional. We enjoy installing creative designs and are glad to work with any homeowner with a desire and a few doodles or the architectural firm or experienced designer interested in having their designs made into reality in a workmanlike and timely manner. On this site I will be posting all types of masonry pictures at different stages of construction. I am not a great photographer, so some pictures are not so perfect. I will be uploading pictures of projects periodically. If you are a client with a picture I have posted and would like it removed, please let me know and I will remove it. If you are a client and have a picture for me to post, send it my way :) If you would like credit for a picture , also let me know. Specializing in hardscape Designs and all around Residential Hardscape Design, Dave Pratt has been helping homeowners beautify and add value to their homes since 2004. He provides full design options based on your budget, material selection and resale value. By presenting realistic options based on your unique requirements, Dave is able to turn your vision into a reality. 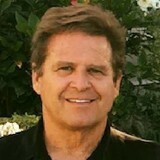 Dave can assist you inside and out with Ideas and Project Management. By calling him, you can get a realistic idea of time, plans, budget, and a piece of mind prior to bringing in the sales people. Just because Dave specializes in hardscape design, he is confident that when he treats you with respect and provides you with the facts and reasonable options, you are able to make an informed decision. 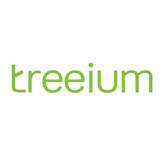 He values your business and offers a military discount and a $100 Referral bonus. Just ask Dave for details. He is part of a Military family and is honored to work with other families. ORCO Block & Hardscape (ORCO) is a leading manufacturer of Concrete Masonry Units, OBP Specialty Mortars, ORCO Pavingstones (pavers), Segmental Retaining Wall units and LID/LEED solutions in Southern California. With over 68 years of service, ORCO has earned the reputation for high quality, outstanding customer service, and leadership in environmentally responsive solutions. Orange County Stone Decor is a distributor of high quality, lightweight, and easy-to- install architectural moldings, columns and wall panels. Our team loves working with architects, designers & contractors. No matter the project size, our range of wall surface products are great for helping you create unique and refreshing visual spaces. Our showroom is in Irvine. It is conveniently located near 405 Freeway off MacArthur Blvd. Take the Business Center Drive exit across from John Wayne Airport. Established in Denmark, in 1971, Olsen Pavingstone, Inc. (originally Hjorth's Betonvarefabrik) was formed when Ole and Anni Hjorth-Olsen purchased their first home in Denmark, and found that every manufacturer had a six week lead time for the pavers they needed. Recognizing this opportunity, they began researching the necessary steps to manufacturing pavers and founded what became one of Denmark's most reputable pavingstone manufacturers. By adapting to the market demands and the needs of the community, their company successfully grew, and in 1986 they sold their firm and immigrated with their nine year old daughter to the United States, and formed Olsen Pavingstone, Inc. More than four decades later, Olsen Pavingstone, Inc. remains a family owned and operated business located in San Juan Capistrano, CA. Since their origination, Olsen Pavingstone, Inc. has set the industry standard for excellence in product, quality, and customer service. The company that began with a young couple working late nights in a family barn now provides an unparalleled combination of old world craftsmanship, the highest quality materials, and modern technology, making Olsen Pavingstone, Inc. the finest in the market today. From installing new exterior columns to repairing your chimney, masonry contractors can help you add both visual appeal and value to your property. They’ll know what kind of installation makes the most sense for your Hermosa Beach, CA climate and regional style. Looking for something that will develop a patina with time? Or would you rather have your home feel brand new for years to come? Choosing the right kind of stone involves thinking about the future, too. Experienced brick suppliers and stone suppliers can help you find the material that will work for your home now and for years to come. These professionals aren’t limited to exterior work either. Whether you want a split-stone granite wall in the kitchen or need help installing traditional brick masonry on your fireplace facade, you’ll want a professional to get it right. If you’re already working with an architect or designer, he or she may be able to suggest a good Hermosa Beach, CA subcontractor to help out. 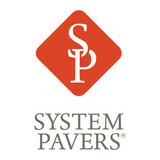 Here are some related professionals and vendors to complement the work of stone, pavers & concrete: Landscape Architects & Landscape Designers, Architects & Building Designers, Garden & Landscape Supplies, Driveways & Paving, Siding & Exteriors. Find stone, paver and concrete professionals on Houzz. Search the Houzz Professionals section for Hermosa Beach, CA stone, paver and concrete professionals. Browse photos and read reviews, and contact a pro if you like their work.